Elvin E. Helms Lodge No. 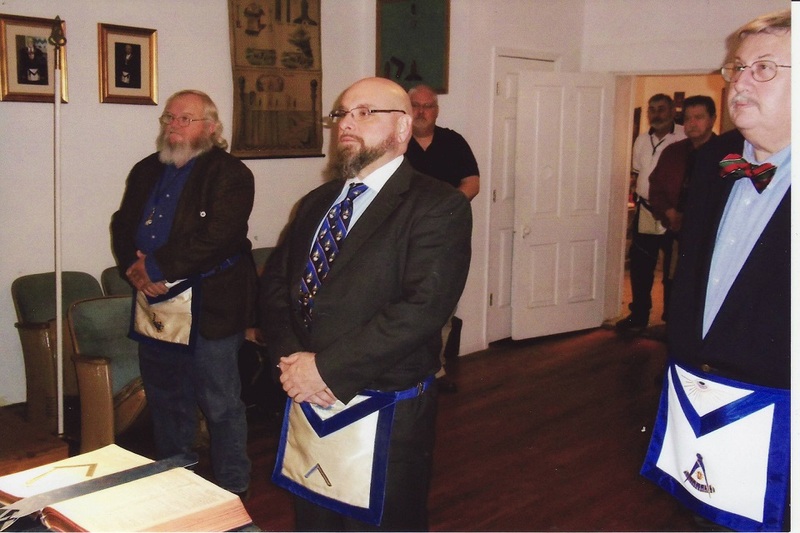 926 met on December 9, 2014 for the purpose of its annual election and installation of officers. 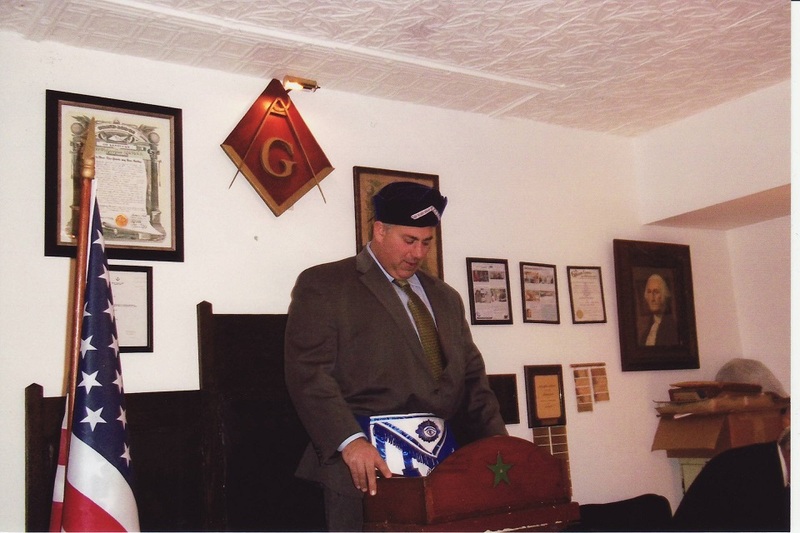 Brother David V. Cassesa — an honorary member of our Lodge, Past Master of Robert Burns Lodge No. 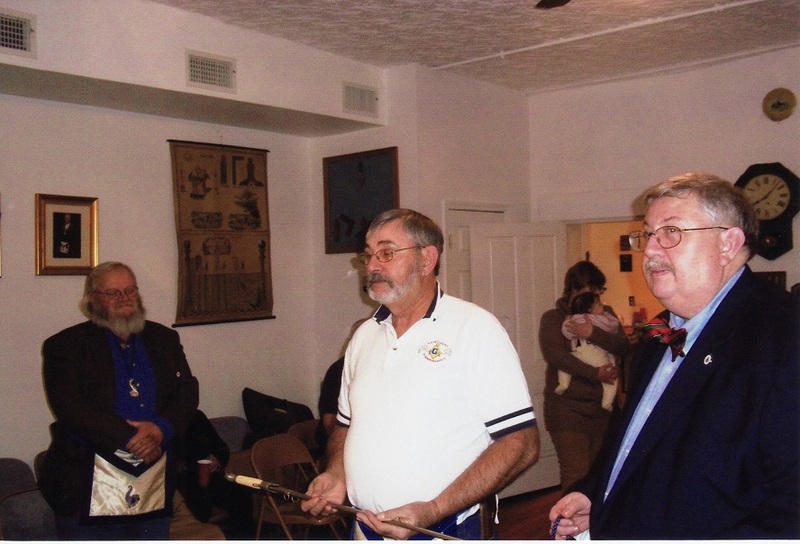 163, and Past District Deputy Grand Master, District 19, Grand Lodge of Kentucky — served as Installing Master. Brother Travis Bush, Past Master, was elected and installed for his second term as Master of the Lodge. 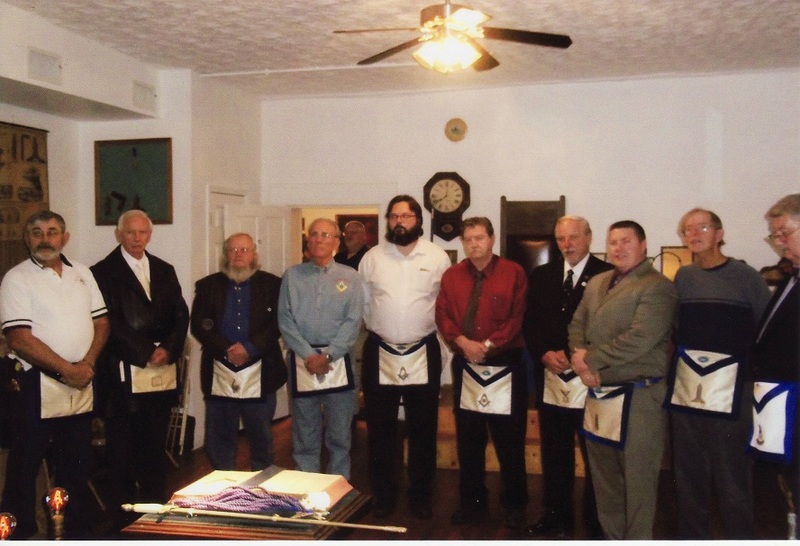 Brother Travis then installed the remainder of the Lodge’s officers for 2015. Our Master for 2015, Brother Travis Mark Bush, who previously served as Master of our Lodge in 2012. 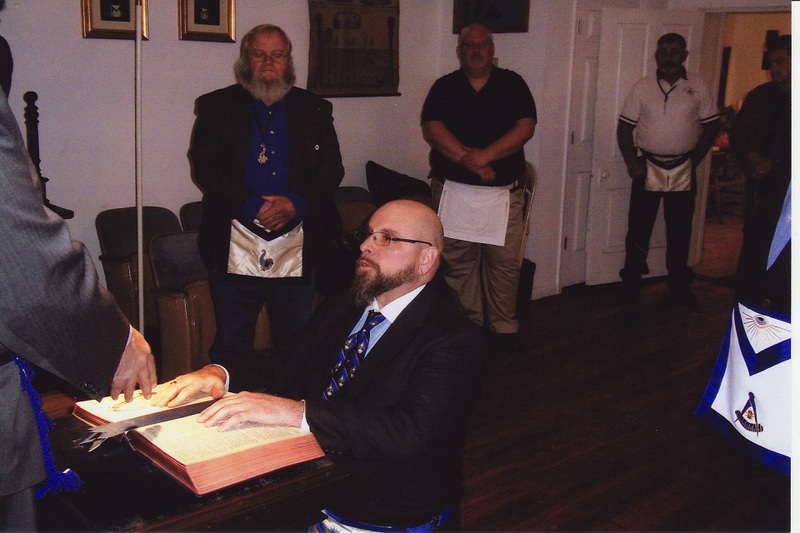 Brother Travis takes the oath and obligation of Master. 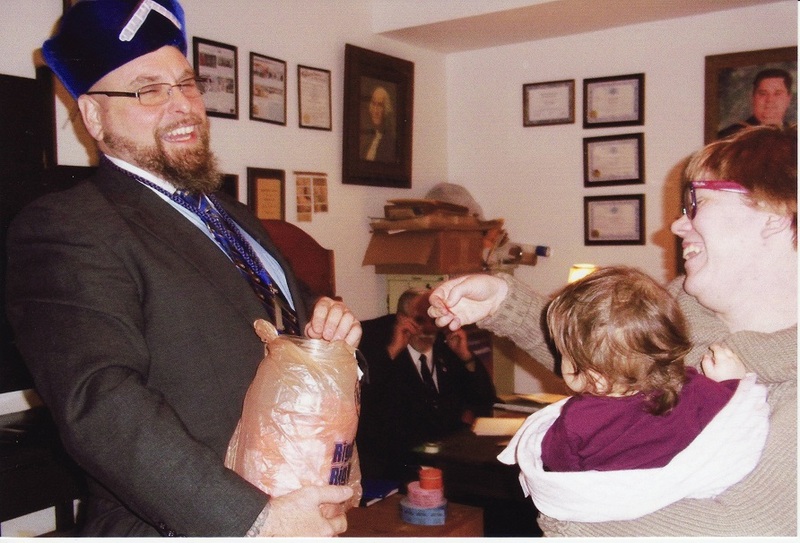 Brother Dave Cassesa, Installing Master, propounds the ancient charges to the Master-Elect. 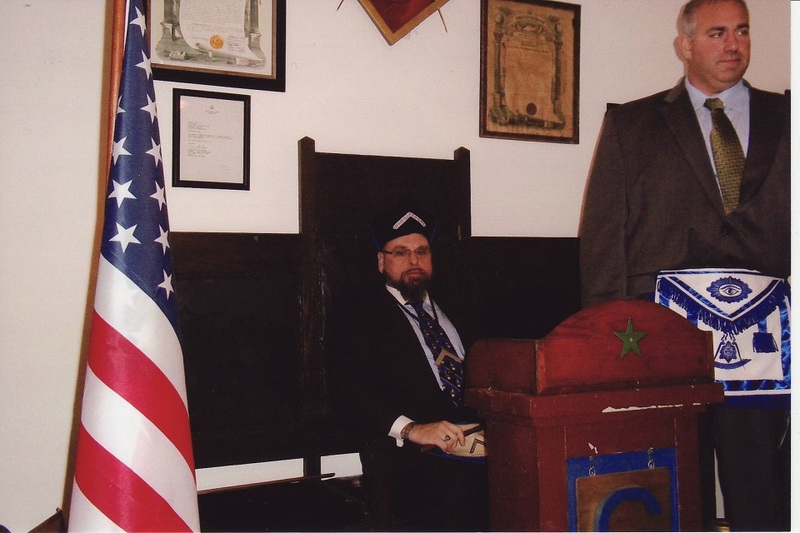 Brother Dave Cassesa, Installing Master, seats newly installed Master Travis Bush in the chair of King Solomon. Officers for 2015 are: Rick Campbell, P.M., Tyler; Mel Kinser, P.M., Chaplain; Kenny Williamson, P.M., Junior Steward; Dennis Stephens, P.M., Senior Steward; Adam Gross, Junior Deacon; Buddy Wallace, P.M., Senior Deacon; Ed Tanner, P.M., Secretary; Jason Wallace, P.M., Junior Warden; and Ernie Stratton, P.M., Senior Warden. Past Masters, Brothers Kenny Williamson and Dennis Stephens, are installed as Junior Steward and Senior Steward. Brother Rick Campbell, Past Master, is installed as Tyler. Jillian and Rosslyn Gross draw a winner from donors to the Lodge’s 2014 Christmas Fund for Kelly Elementary School. 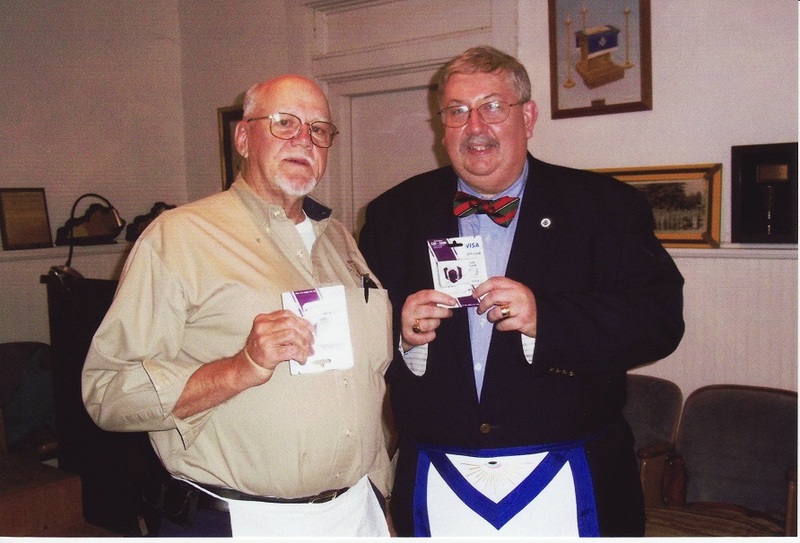 The winners of the 2014 gift cards given to donors to the Lodge’s Christmas Fund for Kelly Elementary School are Brother Garry Kelly (again) and Brother Dan Kemble. 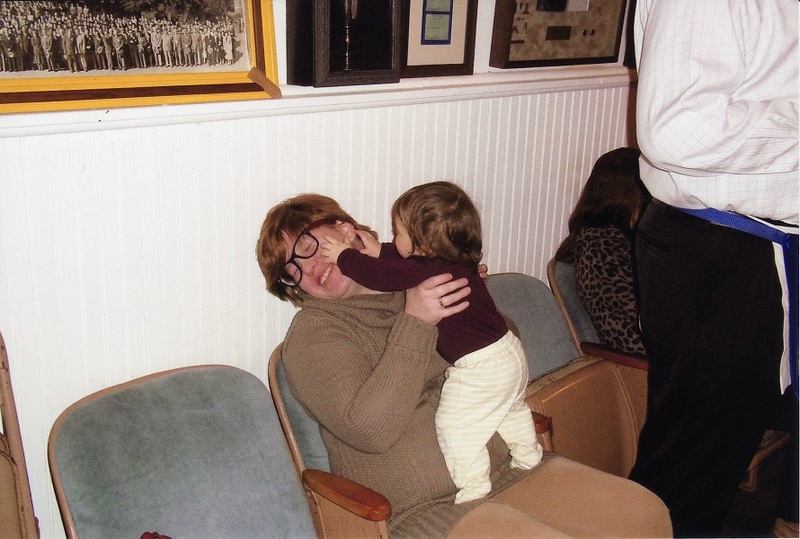 Rosslyn Gross attempts to detach the ear of her mother, Jillian. Congratulations, Bro. Travis, on your installation as Master! 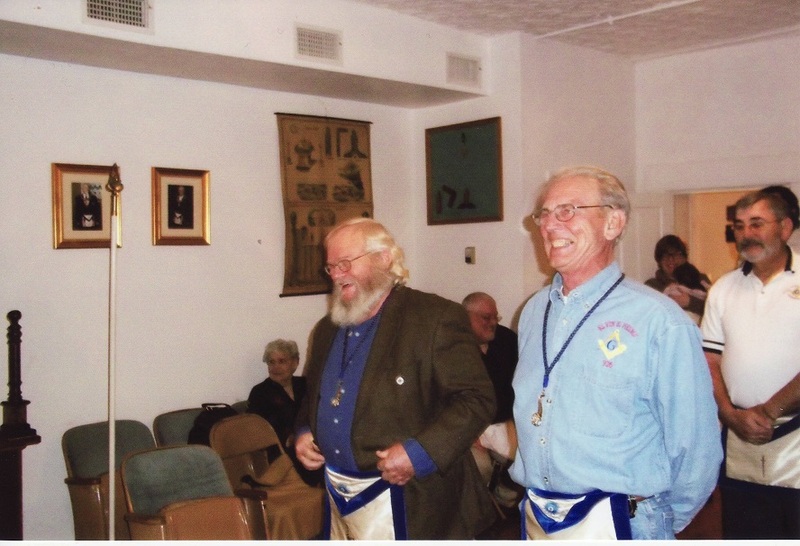 Thank you for your service to our Lodge. I know you will have a very successful year as Master.